Ajith Kumar starrer Vivegam that released on August 24, opened to an overwhelming response from his fans across the state and reportedly earned Rs 33.08 crore on its opening day worldwide. 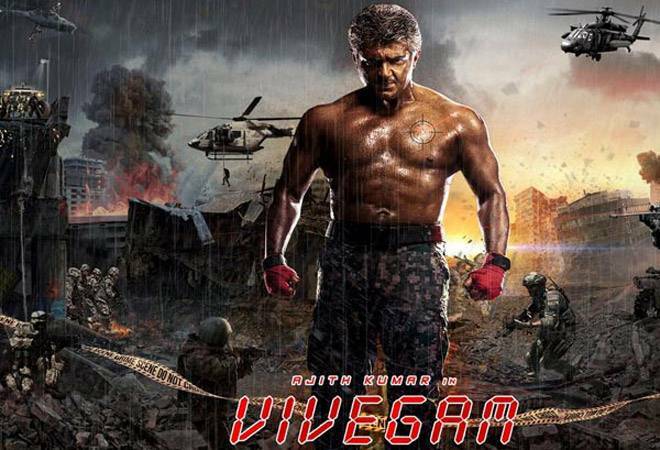 Ajith Kumar starrer Vivegam that released on August 24, opened to an overwhelming response from his fans across the state and reportedly earned Rs 33.08 crore on its opening day worldwide. After two weeks of its release, Vivegam not only collected over Rs 100 crore but also surpassed Baahubali in terms of collections in Chennai. According to trade analyst Sumit Kadel, Vivegam collected Rs 152 crore till Sunday. Going by the numbers, Vivegam is already a blockbuster. It is a comeback movie for Ajith Kumar. He returned to silver screen nearly after two years. The movie is applauded for its strong story line and power packed performances. Vivegam is doing wonders not only in India but overseas too. Its overseas collections are spectacular, especially in the US. After the second weekend, Ajith's Vivegam beat his Yennai Arindhaal collection in the US box office, becoming Ajith Kumar's no 1 grossing film. Made on a budget of Rs 100 crore, Vivegam released in over 3000 screens worldwide. The plot revolves around the life story of an Interpol officer, played by Ajith Kumar. Kajal Aggarwal plays the role of his wife. Vivek Oberoi and Akshara Hassan are also seen playing pivotal roles in the movie. Vivegam also marks Vivek Oberoi's debut in the Tamil film industry. Vivegam is Ajith's third collaboration with director Sivakumar Jayakumar. They have previously worked together in Veeram and Vedhalam.